Training tyres are never durable enough! 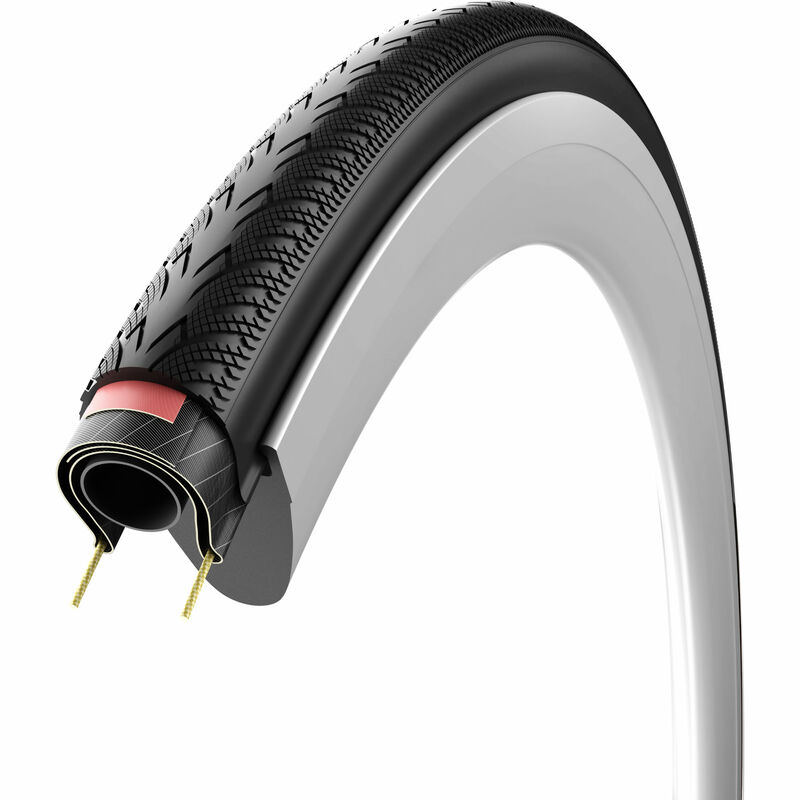 For this reason Vittoria have upgraded to Aramid Compound to increase its wear resistance, maintaining the safe and inspiring road-behavior Vittoria tyres are famous for. I wish I could returned quickly and get the 28 version. unfortunately I live in Australia. Did an inaugural 130km gravel ride with no problems. Cant beat this with that price, thanks Merlin! I'm a casual cyclist and this tire has a great value for what I was looking for. Very happy with the Zaffiro Pro. I bought them as winter tyres to replace the tyres that came with my bike, but I'm so happy with them that I'll probably leave them on all year. A fine hour ride in the soaking wet confirmed their handling and comfort credentials. Product was exactly as described and I am pleased with this purchase. Weighs slightly more (20g) than the Pro Slicks, but the extra material will hopefully give increased life. Excelent grip dry & wet, very durable. Very good quality road tyre. Easy to fit. Runs well and gives a smooth responsive ride. Good for the money, roll fast and don't puncture very often. Work well on a light weight commuter build, but keep in mind if your 'commuter' is really a touring bike with 30kg of gear in panniers... you should probably get a wider tyre. I have had several sets of tyres from Vittoria before, Rubino Pro slick and a Zaffiro wired, both very good sets but not had a set of these, so I put some mileage on these tyres before reviewing them and I am very pleased with them. Both tyres came in at 280g for a 28c tyre. They grip very good in wet or dry roads and reasonably good on some dirt track I take. All in all a very good trye for not a lot of money. Excellent value. Good blend of smooth rolling and solid against punctures - so far so good. Got these tires as I needed new ones they are great. I ride to work everyday in all conditions and for the price and value I would recommend these tires to anyone. My bike looks great with these tires! They are well built and still running strong! I would definitely recommend this seller. Great selection, great quality, great service. Thank you. Like for like replacement. Very satisfied with these tyres. A hardwearing tyre and suffer very few punctures. Never had an issue with grip. Recommended. Nice tires, I came from 20 wide and got these in 25 and they really are more comfortable.